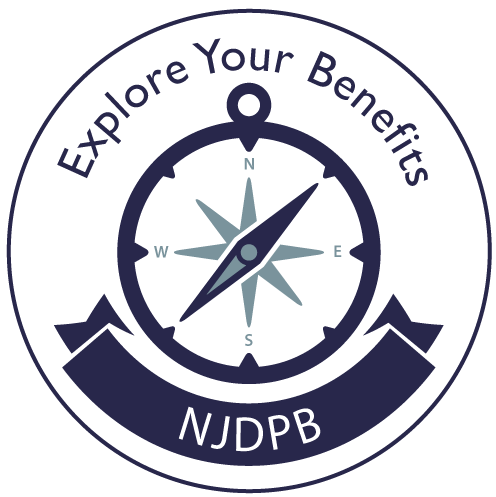 Statutes governing the New Jersey State-administered retirement systems and benefit programs. Establishment of the Division 52:18A-95 et seq. Public Employees' Retirement System (PERS) 43:15A-1 et seq. Teachers' Pension and Annuity Fund (TPAF) 18A:66-1 et seq. Police and Firemen's Retirement System (PFRS) 43:16A-1 et seq. State Police Retirement System (SPRS) 53:5A-1 et seq. Judicial Retirement System (JRS) 43:6A-1 et seq. Prison Officers Pension Fund (POPF) 43:7-1 et seq. Consolidated Police and Firemen's Pension Fund (CPFPF) 43:16-1 et seq. Legislative Retirement System (LEGS) 43:15A-135 et seq. Workers Compensation Judges Part of PERS 43:15A-142 et seq. Prosecutors Part of PERS 43:15A-155 et seq. Alternate Benefits Program (ABP) 18A:66-168 et seq. Defined Contribution Retirement Program (DCRP) 43:15C-1 et seq. Deferred Compensation 52:18A-163 et seq. Supplemental Annuity Collective Trust (SACT) 52:18A-107 et seq. State Health Benefits Program (SHBP) 52:14-17.25 et seq. School Employees' Health Benefits Program 52:14-17.25 et seq. Pension and Health Benefits Review Commission 52:9HH-1 et seq. Pension Adjustment Program 43:3B-1 et seq. Pensioners In Public Employment 43:3C -1 et seq. Old Age and Survivors Insurance For Public Employees 43:22-1 et seq. Administrative Law 52:14B-1 et seq. Legislative information and bill room - The Legislative Information and Bill Room (LIBR) provides information on past and pending legislative action. The Bill Room can be reached at (609) 292-4840, or for TDD (609) 777-2744. Toll-free (within New Jersey only) at 1-800-792-8630, or for TDD 1-800-257-7490.